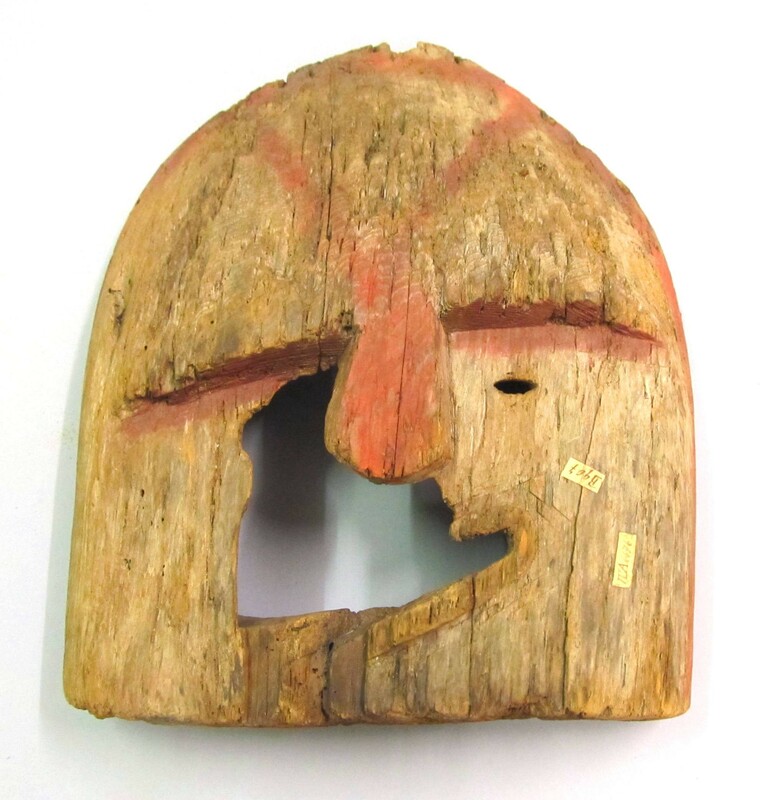 Mask with red paint marks still visible. There are small holes on the outside edge probably for feathers. It appears to be made of driftwood.